The Logitech Craft keeps things simple. It’s a more balanced approach that hits all the right notes and an easy go-to, despite the higher price. Over the years, Logitech have been a constant in the PC accessories space. They haven’t necessarily always been the best way to go, but they’ve always been a way to go. They’ve had some hits, they’ve had some misses. Above all, they’ve acted a baseline for everyone else to stack up against. They’re the brand that pretty much every PC user has heard of - and usually the safe, utilitarian option everyone knows they can always fall back on. However, in recent years, that’s begun to change. Just because customers might see or treat Logitech products as a helpful baseline, doesn’t mean that their products necessarily have to be boring or without personality and taste. 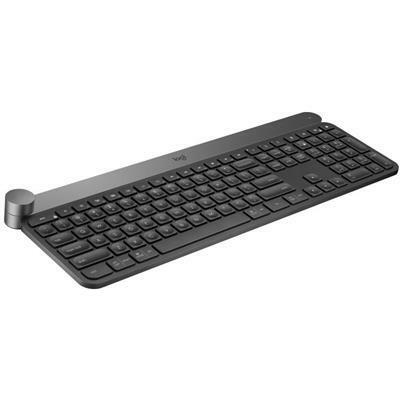 Holding its own as a strong example of this latest epoch in Logitech product design, the new Logitech Craft keyboard has plenty offer when it comes to both style and substance. It’s expensive but different enough to stand out and hits enough of the right notes that you’ll probably find yourself humming along to its tune before long. While Logitech’s keyboards have always generally looked nice, I struggle to remember the brand ever producing anything in the past that’s quite as immediately-likable as the Craft looks. It’s simple. It’s clean. It’s striking to look at, and a good fit for (what feels like) most work environments. The term “smart-keyboard” is a tad hyperbolic - but that really does feel like an apt description for the direction the Craft is pointing. The key switches involved here are fairly standard fare but they do come a few pleasantly-clever and modern adaptations. For one, the backlit keys on the Craft automatically adjust brightness to suit external and changing lighting conditions. 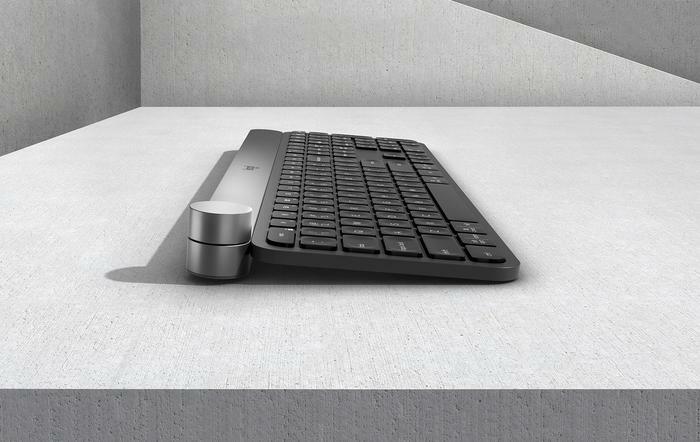 Essentially, this is a keyboard that’s got backlighting when it needs it and keeps a low-profile otherwise. It’d be silly to claim this feature is revolutionary - but it’s elegant and appealing enough on its own merits that you kinda wonder why it isn’t the standard already. The Logitech Craft also boasts spherical key dishing on almost every keycap - minus the function, alt, space and control keys. 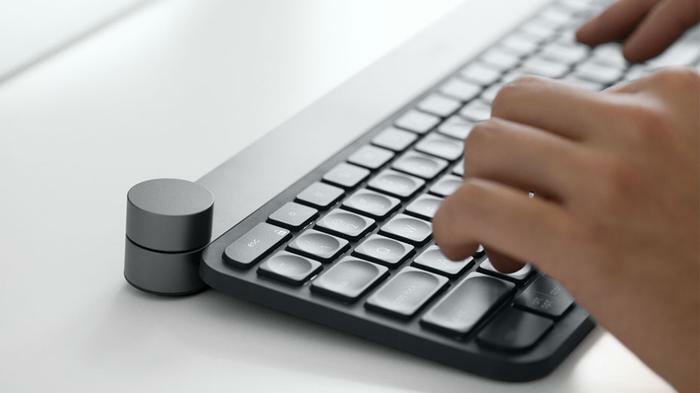 Logitech claim that this design choice make it easier to orient your fingers without looking, reducing mistakes - and I don’t think I necessarily disagree. For a minute or an hour, the Logitech Craft felt really easy and responsive to use. If there’s anywhere I’d like to see the company take this concept in the future, it’s towards additional customizability and maybe modularity. The Craft’s headline dial is already really neat and intuitive inclusion (through the texture could use a little more grip) - but it feels like the rest of the space to the right of the dial goes to waste. It would be great to see a version of this product where users could pick and choose between a number of dials or other accessories that could attach to the upper edge of the Craft. As it stands, the Logitech Craft feels like a great foundation. I sincerely hope Logitech build on it. 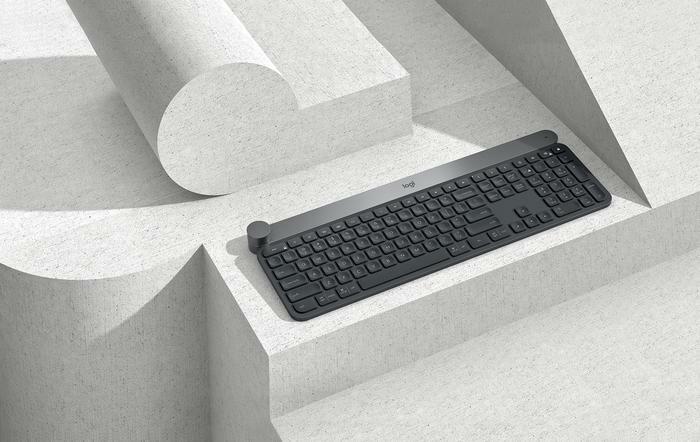 In terms of balancing design ambitions against real-world considerations, the math shakes out firmly in the favor of Logitech Craft keyboard. It’s not quite a smart keyboard but it smart enough when it comes to streamlining the modern keyboard experience into something that’s both immediately recognizable and easy to make the case for as superior to what’s come before it. Where other brands have opted to invest in key switches that feel more responsive or keyboard designs with excessive media and macro inputs, the Logitech Craft keeps things simple. It’s a more balanced approach that hits all the right notes and an easy go-to, despite the higher price.